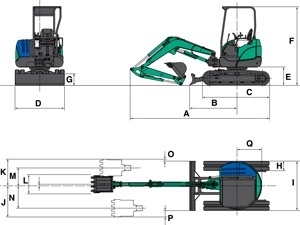 The 40VX-3 mini excavator has the largest operator’s space in its class and its clean engine is compliant for StageIIIA and EPA interim Tier4. 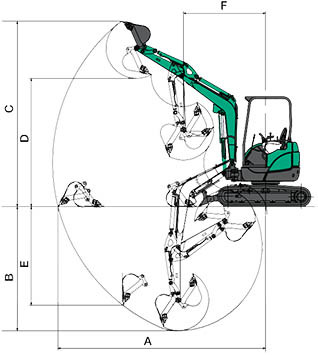 This mini excavator is a 10,206 lb zero tail swing unit with a digging depth of 11’10” and a digging force of 9,854 lbs. Standard equipment include a Yanmar 37.1 HP engine, 4 post canopy, rubber tracks, auxiliary hydraulic piping, pattern change valve, suspension seat, arm rest, and backfill blade. Bucket breakout force of 9,854 lbs.